We absolutely are satisfied, all our drivers gave us magic moments, and they came back home with very important points for the MOTO GP placement. 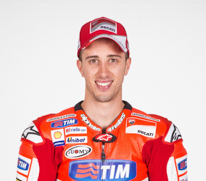 The best one has been Andrea Dovizioso, thanks to whom Unibat brand gained the podium for the second time. 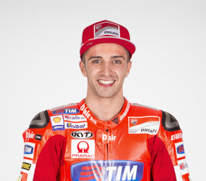 After second place in the opening round of the 2015 MotoGP season in Qatar, Andrea Dovizioso confirmed his current run of good form and the competitiveness of the Ducati Desmosedici GP15 in the Grand Prix of the Americas at Austin, in Texas, where he again finished runner-up. The Ducati Team rider rode an aggressive race, getting the holeshot from the starting grid and leading for the first four laps, before being passed by Marc Marquez who went on to win the race. Dovizioso was then involved in an exciting battle with Rossi, who passed him on lap 8, but he remained right behind his compatriot, getting past on lap 16 and administering his advantage until the chequered flag. Thanks to this second successive runner-up slot, Dovizioso is now second in the championship, just one point behind Rossi. Team-mate Andrea Iannone, who started from row 3, also had a good race. After starting well, the man from Vasto in Southern Italy unfortunately lost touch with the leaders on the opening lap when he had to avoid being caught up in the crash between Redding and Pol Espargarò. He then began a good recovery, passing Aleix Espargarò, Jorge Lorenzo and Bradley Smith, and reached fourth place behind Dovizioso on lap 8. Iannone tried to attack his team-mate, but after a few laps he had to slow his pace because of front tyre wear, and he was then passed by Lorenzo on lap 19 and had to settle for fifth. 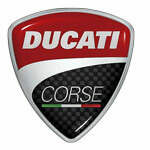 The Ducati Team man now lies in fourth place overall in the Riders’ standings. Thanks to today’s results, Ducati are second in the Constructors’ table, just one point behind Yamaha, and the Ducati Team are equal first in the special Teams’ classification. 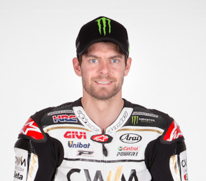 Just as he did in the season’s opening race in Qatar, CWM LCR Honda rider Cal Crutchlow finished seventh at the Grand Prix of the Americas in Austin, Texas on Sunday. The Briton was hampered by a first-lap collision which cost him valuable seconds at the start of the race and was not able to recover to challenge the leaders having departed from fifth on the grid. Crutchlow eventually finished just under 17 seconds behind race winner Marc Marquez, but acknowledged he was frustrated with his final position having performed so well over the course of the weekend. However, he insisted he was looking forward to the opportunity to challenge again in Argentina next weekend. “Today I was really disappointed with the result, we had a good pace over the race weekend. In the race itself we had some problems, I got caught up in the crash on the first lap and lost nearly five seconds in one lap and from that point it was very difficult to catch up. 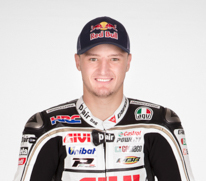 CWM LCR Honda Team rider Jack Miller secured his first-ever points in the MotoGP class as he finished 14th in the Grand Prix of the Americas in Austin, Texas. Starting from 19th on the grid, the Australian made a superb start and climbed as high as 11th at one point during the race. However, he was later involved in a collision that would ultimately cost him a couple of places in the final standings. Miller – who came home under a quarter of a second behind former MotoGP world champion Nicky Hayden – declared himself pleased with the result and insisted he had gathered crucial experience for the season ahead. “I was really happy with the race, I learnt a lot fighting with the guys like Nicky (Hayden) and the rest of the group. I must improve the management of my tyres over the first few laps. I need to learn not to be so aggressive on the front tyre, and especially the rear, so that I have more possibilities at the end of the race.